Q: Please share information about growing and using herbs, especially those that do well in cool weather on the Gulf Coast. A: Ask and you shall receive. 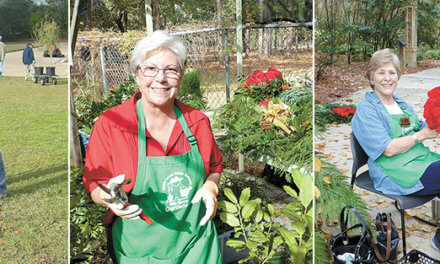 Members of the Gulf Coast Herb Society shared their knowledge with us about growing herbs on the Gulf Coast. We gathered more information from “The Herb Bible” by Jennie Harding and “Southern Herb Growing” by Madalene Hill and Gwen Barclay. Herbs have been useful to humankind for food, flavoring, fragrance, household activities and medicine for some 60,000 years. Around 460 B.C., the Greeks used opium as a narcotic, lungwort for lung infections and pomegranate to stop bleeding. The fragrance of some herbs actually has therapeutic effect. For example, rosemary, often used in food recipes, has been found to help with poor circulation and improve concentration. Some common weeds, such as dandelion and the common daisy, have often been used as healing herbs. It is important to consult a doctor or a registered herbal practitioner before using herbs for a recognized medical condition. Because of the Gulf Coast’s semitropical climate, many herbs and other plants grow here unlike in North Alabama. Parsley, for example, grows in spring and summer in North Alabama; here, however, parsley goes to seed in summer, so we plant it in fall for winter harvest. This is also true of dill and fennel. Other herbs that thrive in cooler months on the Gulf Coast from October through March — and should be planted in fall — are chervil, cilantro, oregano, sage, sorrel and thyme. Bay laurel, chives and rosemary love our climate and are easily grown all year. Many herbs are native to arid climates and are therefore intolerant of our wet weather. They do, however, grow well in containers, which can have better drainage than our area’s typical soils. Most of our favorite herbs are also native to areas with naturally infertile soils, so they generally dislike fertilizer. Basil is an exception to the rule. As an annual, it is not cold tolerant and requires more water and fertilizer than some other herbs. To keep basil alive through summer and fall (mid-November), the branches should be cut back throughout the season to a couple of leaf nodes from where they branch out from the main stem. 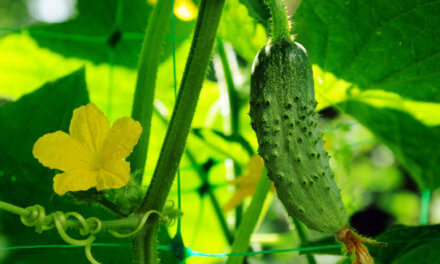 This practice will encourage new growth and a bushy habit for season-long harvesting. If you let the basil flower and go to seed closer to the end of the season, it is easy to save the seeds in a cool, dry place and start with new plants in the spring. Mints are divided broadly into two groups by fragrance: peppermint and spearmint. Peppermint has a menthol flavor and spearmint has primarily carvone, a flavor shared with caraway seeds. Mints are perennial and often invasive, so they are best planted in a container or alone where they have room to wander. Rosemary is a hardy perennial that grows through all the seasons and, with proper drainage, will last for years. Start new rosemary plants in spring from cuttings. Cilantro (Chinese parsley) actually comes from the same plant as coriander — the leaves are known as cilantro, while the seeds are known as coriander. 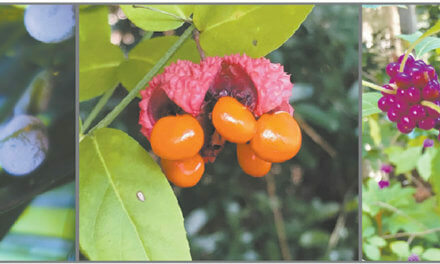 It has a crisp, fruity flavor and is often used in curry, Mexican, Southeast Asian and Thai food. While it may be tempting to buy cilantro plants when you see them for sale in the spring at local garden centers, resist the temptation and grow cilantro in the cooler months, as this is one herb in particular that struggles in our hot and humid summers. English lavender and French tarragon do not grow well on the Gulf Coast, although they can be grown as annuals. Herbs can be preserved by freezing or drying. Detailed instructions can be found online. One convenient way is to put clean, dry herbs into an ice cube tray and fill the compartments with water. You can also mix different herbs in the trays. Freeze and pop the cubes into recipes as needed. Now that you know a little more about growing herbs, take a look at these recipes from the Gulf Coast Herb Society’s cookbook for a few ideas on how to use them in your kitchen. Place first four ingredients in a blender and blend about 10 seconds. With motor running, slowly pour in olive oil. Season with salt and pepper to taste. Place in airtight container and refrigerate. Makes about 1 cup. Serve over pasta, vegetables or as topping for soup. In mixer or food processor, beat cream cheese and butter until smooth. Stir in remaining ingredients until well blended. Line a loaf pan or small bowl with heavy-duty plastic wrap. Pack cheese mixture into pan and refrigerate 2 hours or until firm. Unmold onto serving platter. Garnish with fresh basil sprigs. Serve with bagel chips, cucumber slices or assorted crackers. When: Saturday, Sept. 30, 9 a.m. to 1 p.m.
Fee: $35 for nonmembers, $30 for members. Includes lunch and herb treats. When: Thursday, Oct. 5, 10:30-11:45 a.m.